Lexington, Ky.— Feb. 4, 2019 — The U.S. Hunter Jumper Association opened theUSHJA Horsemanship Quiz Challenge, an online quiz that tests participants' knowledge about horse anatomy, horse care and health, riding theory, stable management, and more horsemanship topics. Open to USHJA members (at any paid membership level) 21 and younger as of Dec. 1, 2018, the quiz offers participants a chance to qualify for the in-person HQC Nationals, which offers $4,000 in training grants and is held alongside the USHJA Emerging Athletes Program National Training Session. "We hear time and time again how much the participants in this program love it, and they keep coming back year over year, becoming more and more knowledgeable," said Terri Young, chair of the HQC Program Committee. "With $4,000 in training grants paid out across the top three at Nationals, it's a huge reward for these equestrians' hard work and dedication to horsemanship." Interested equestrians register online for the quiz, study and then advance through two levels of online horsemanship quizzes, which consist of multiple choice and true/false questions, to be eligible for selection to attend the HQC Nationals. The HQC Nationals is an in-person competition that includes a written test, identification exam and a hands-on practicum to put the top-scoring participants to the ultimate test. In order to advance to the Level Two Quiz, participants must score a minimum of 80 percent on Level One, and in order to be eligible for selection to attend HQC Nationals, participants must score a minimum of 90 percent on Level Two. Participants interested in being eligible for HQC Nationals must complete both levels by Sept. 1. 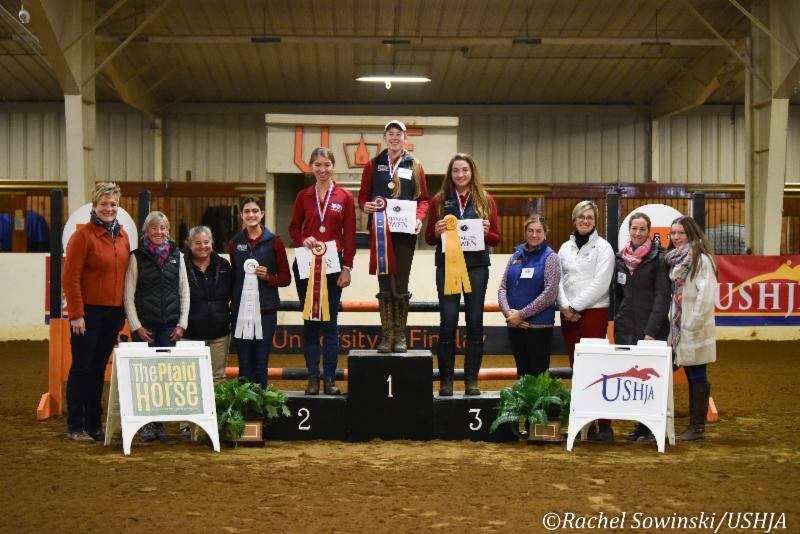 Last year, Toni Anderson returned to HQC Nationals to capture the win and $2,000 training and education grant provided by the USHJA Foundation, a Charles Owen helmet, a pair of Parlanti paddock boots and a special learning opportunity at Spy Coast Farm, a leading American sport horse breeding and training operation in Lexington, Kentucky, in 2019. Throughout the three-day experience and test, a total of 24 finalists participated in a variety of hands-on educational seminars in addition to three phases of testing, which Anderson ultimately won. Program participants may use the online resources available through the program-theHQC Study Guide and HQC Practice Quiz to prepare. These resources are also available on the USHJA website to anyone interested in improving their horsemanship knowledge. Each year, the USHJA opens the HQC Stable Challenge, which is a horsemanship competition for all ages for 30 days from June 15 to July 15 that uses the Practice Quiz to put barns to the test for great prizes in each USHJA Zone. "While the program focuses on the 21 and under equestrian, the resources and the Stable Challenge are a great way for anyone to improve their knowledge and ultimately care for their horses," continued Young. "We hope that this program encourages young equestrians to remain committed to learning about horse care for their entire lives. The journey to become a great horseperson is never-ending." The HQC is supported, in part, by a generous grant from the United States Equestrian Federation, as well as individual donors through the USHJA Foundation. For more information and to get started, visit ushja.org/HQC.